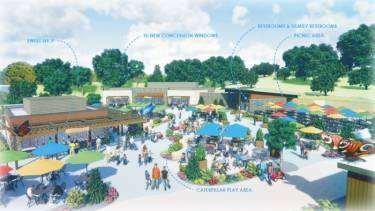 Omaha’s Henry Doorly Zoo has a plan to enhance the guest experience at the zoo and it expects to do so by opening a new plaza in the spring of 2019. 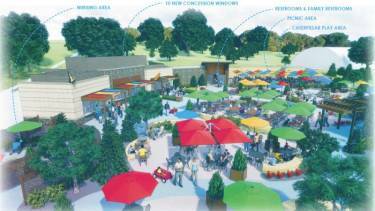 The soon to be constructed, Carousel Plaza, will offer concessions, seating, shade structures, restrooms, shops, and a children’s play area. The structures making up the new plaza will primarily be made of wood so common timber construction fasteners such as lag screws and hex bolts were specified in the construction plans. Shade-providing awnings are to be installed on several of the buildings which will require ¾” diameter tie rod assemblies to brace the canopies to the buildings. Portland Bolt was able to manufacture and supply all of the galvanized fasteners for the project in a quick turnaround in order to keep the project on schedule. Contact one of our experienced estimators for your next project that requires large custom fasteners or anchor bolts.